Because Safetica sets permissions and tracks document access, all you need to do is run an internal security audit. 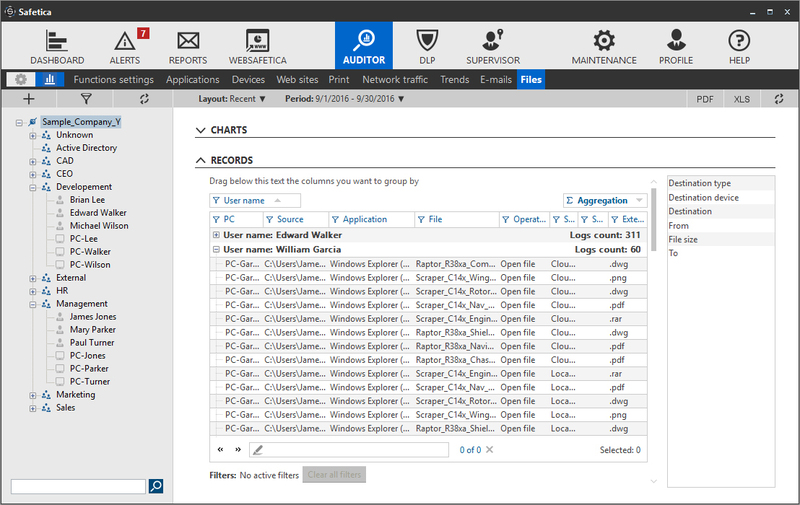 Detailed reports of data activity are generated for you. If you're audited, you'll have everything you need right at your fingertips. Safetica is designed to work in harmony with laws protecting employee privacy. Not only an you keep your employees' information safe and secure, Safetica shows you how. Added value: It's all part of the product. 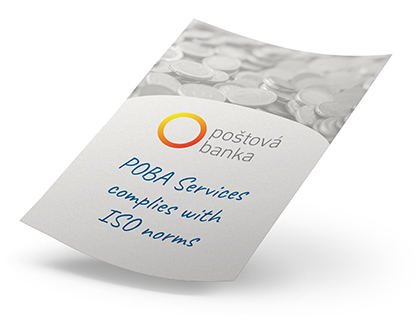 POBA Services, a subsidiary of Poštová banka, is an auxiliary banking service company in charge of managing real estate owned by Poštová banka. Everyday its employees work with client accounts, project documentation, and other sensitive documents that should never, ever be shared with the public. So when they had to prepare for ISO/IEC 27001 certification, POBA Services chose Safetica to protect their sensitive data, manage their device usage and audit their empoyee activity. Now compliance is no problem. See how POBA Services uses Safetica for ISO certification?